A couple of days ago, Samsung presented its world’s foldable smartphone named Galaxy Fold, which soon attracts the focus. 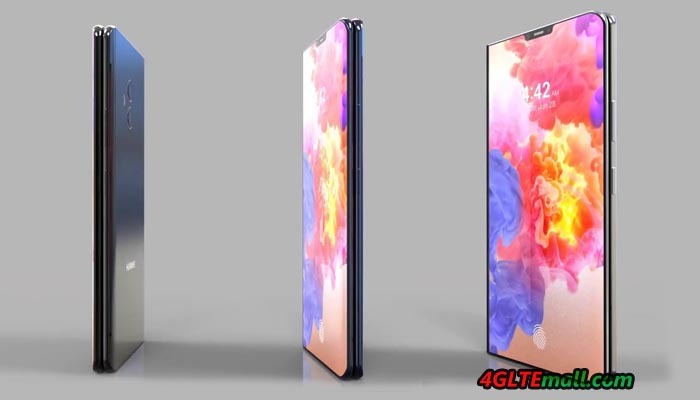 After the bezel-less display design, there is a high chance that foldable phone is going to be the next significant trend in the smartphone world. Previously, there was a report suggesting that many brands are now in the development phase for their first ever foldable device. 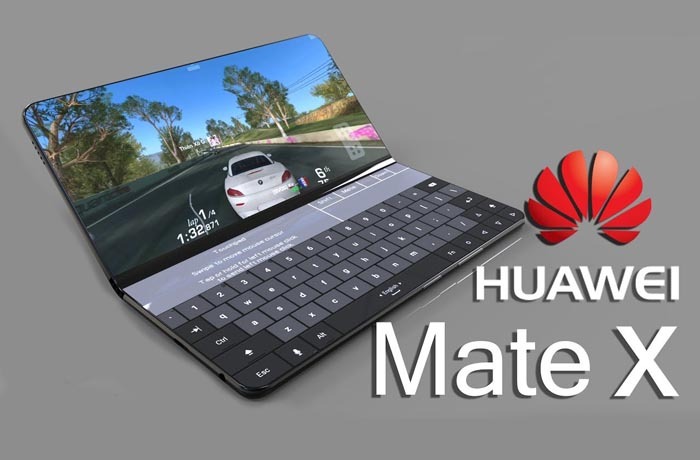 Huawei, the world’s third largest smartphone supplier, will release its first foldable phone and named it Huawei Mate X, which was leaked by the banner for Huawei show at MWC2019. Per the leaked information, we can see the Huawei Mate X specs includes two 5.9-inch IPS LCD screens with the resolution of 1440 x 2560 pixels. Moreover, the Huawei device also opens up like a book and lets you use it on both tablet mode and smartphone mode. 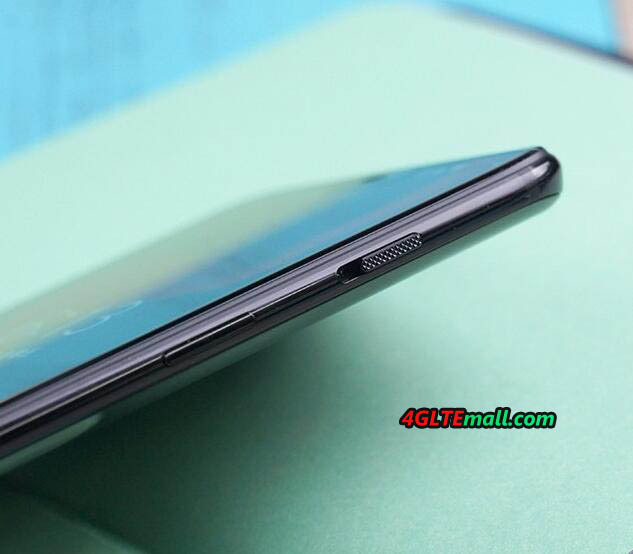 Additionally, the Huawei flagship comes with a notch on the display and metal back panel. 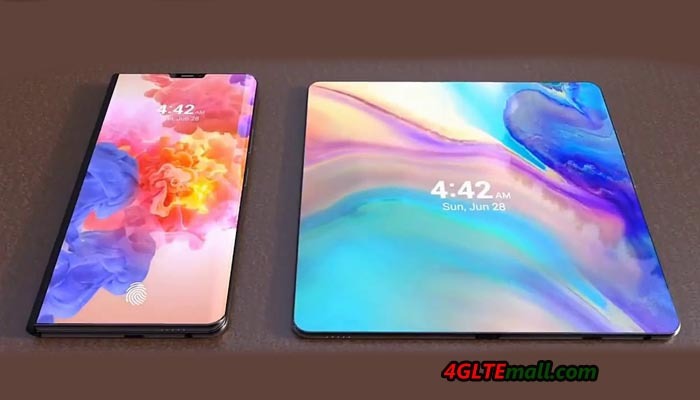 As per the concept, Huawei Mate X phone will sport two separate displays. One of the screens will measure 5-inches, while the other will be 8-inches in size both of which will be supporting HDR 10. When folded, we will get to use the 5-inch display, which otherwise looks like any other smartphone. But when unfolded the screen size goes to 8-inches featuring a 4K display and will be perfect as a tablet. On the other hand, there is also another idea developed but in the laptop mode with a 120-degree fold. If a smartphone is designed in this way, it can be literally used as a regular laptop. And with half of the fold, the Huawei foldable phone can be used as a fully functional keyboard, while the rest will be used as a display. In addition, the device’s user interface will also be changed like the desktop UI, so that it can give laptop-like experience to the users. Apart from this, the device will get a sleek design that combines both metal and glass of approximately 7.5-inch total thickness. Moreover, the device will also feature IP68 water and dust resistant. Huawei Mate X is based on Hisilicon Kirin 980 chipset and offer 6GB RAM and 512GB ROM for storage. Huawei Mate X camera expects to get a dual: 12 MP (f/1.6) +20 MP (f/1.6) rear snapper. Other features should include Geo-tagging, touch focus, face/smile detection, panorama, and HDR. On the front, there is also an 8MP selfie shooter. 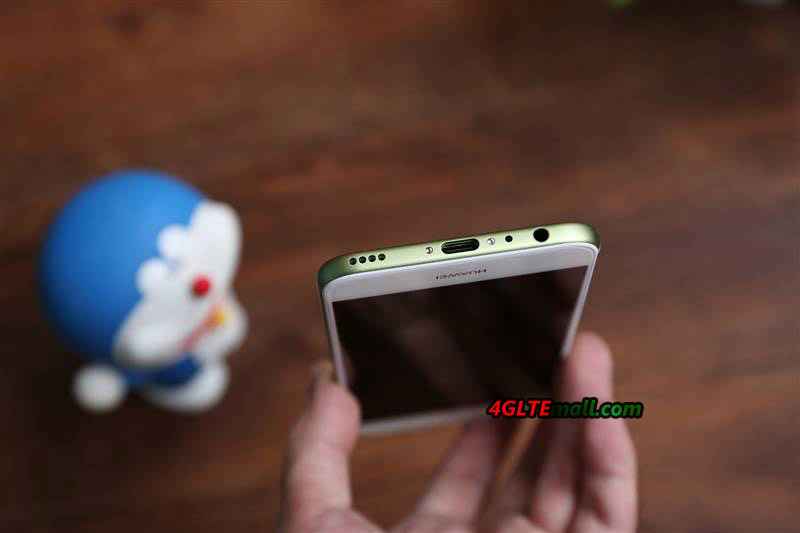 In term of the battery, this Huawei phone rocks a non-removable Li-Po 4000mAh battery. Lastly, Huawei Mate X is going to run on the latest Android 8.1 Oreo with EMUI 9.0 on top. According to our information, Huawei Mate X would be open for sale in the first quarter of 2019. Regarding the price, we suppose the Mate X foldable phone would refer to Samsung Galaxy Fold and would not be cheap at the beginning. Samsung offer the Galaxy Fold at 1980$, we suppose the Mate X price would be around 1500$ or more. 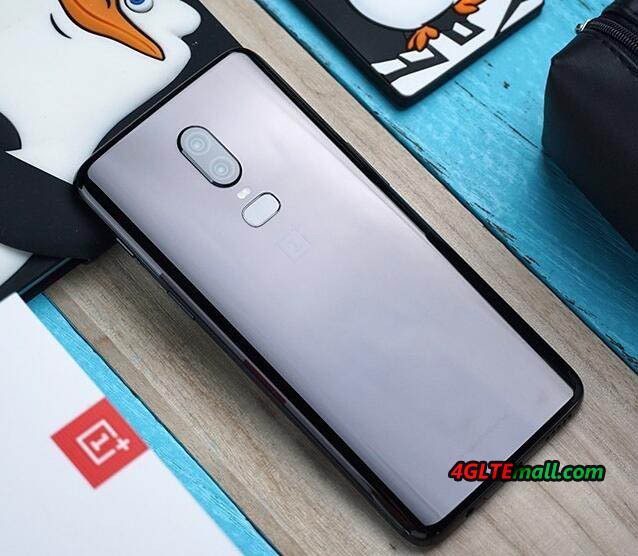 You may know Huawei 4G smartphones from China, but do you know another Chinese manufacturer OnePlus? If you are looking for a smartphone with the best performance on LTE network, you should not miss a smartphone with Qualcomm Snapdragon 845 chipset and Snapdragon X20 modem. Although HiSilicon (Huawei) and Intel (eg Apple) offer very good modems, but the Qualcomm chipset is the most widespread in any case. The OnePlus 6 is currently one of the cheapest smartphones with Snapdragon 845 and still offers excellent features, so we will take a test in the LTE network. The OnePlus 6 comes with a 6.28 inch AMOLED screen, up to 8GB of RAM and up to 256GB of internal memory. It is dual-SIM capable and has a 3,300mAh battery – a quick-charger power adapter is included. On the back, you will find a dual camera with 16 or 20 megapixels, which shoots quite good pictures. It offers two unlock options: fingerprints unlock or face unlock. 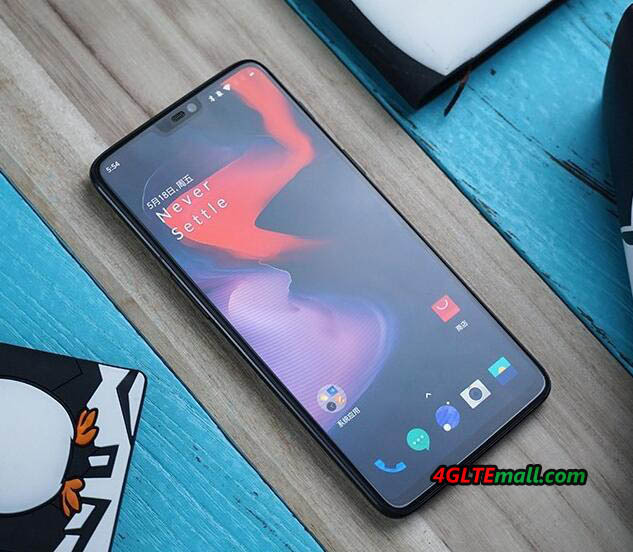 The OnePlus 6 is also offered in the online trade by Asian dealers in a version with the model number A6000 – this supports many, but not all major LTE frequency bands. The European or North American version has the model number A6003 and supports FDD LTE on frequency band 1/2/3/4/5/7/8/12/17/18/19/20/25/26/28/29/30/32/66/71 and TDD LTE on frequency band 34/38/39/40/41. Up to 1 GBit/s are possible in the downlink with quadruple-channel bundling (4CA), up to 150 MBit/s in the uplink via 2CA. 256QAM in the downlink, 64QAM in the uplink and 4 × 4 MIMO antenna technology are also supported. This makes the OnePlus 6 well equipped for use in LTE networks worldwide. 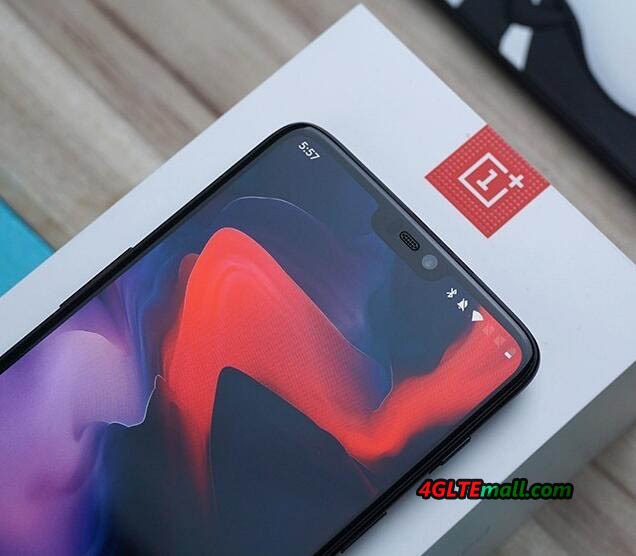 Admittedly, the OnePlus 6 is currently still the latest OnePlus smartphone, but the successor OnePlus 6T is now available on the market. 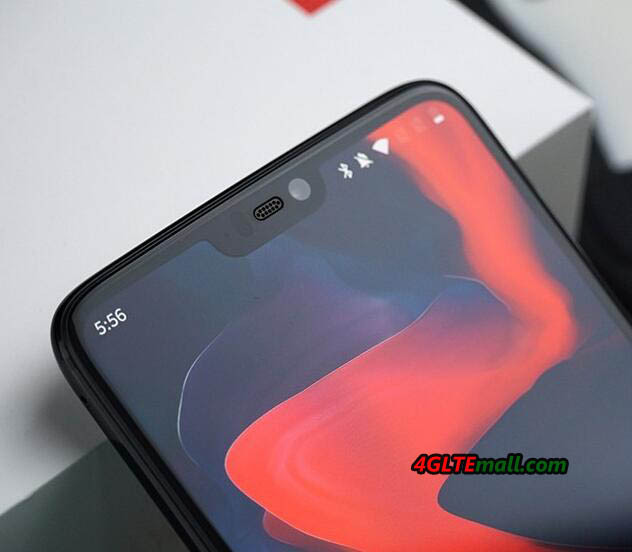 The chipset and modem of OnePlus 6 should be identical to the successor 6T, but of course, there are some changes and improvement in the newer Oneplus 6T, which you should be curious. The Qualcomm Snapdragon 845 is a system-on-a-chip (SoC), bringing together diverse chips such as processor and modem on a single chipset. The integrated Snapdragon X20 modem is especially relevant for this test. It is Qualcomm’s second-fastest commercially available LTE modem, only the X24 is even faster (currently not available in any SoC). The X20 modem offers LTE Cat18 in the downlink and LTE Cat13 in the uplink and offers manufacturers the opportunity to theoretically bundle up to 5 frequency bands via carrier aggregation in the downlink. In the uplink, the modem is 2CA capable. The 4 × 4 MIMO antenna technology is possible on up to 3 carriers simultaneously. 256QAM modulation in the downlink and 64QAM modulation in the uplink are of course included. In total, up to 1.2 Gbit/s in the downlink and up to 150 Mbit/s in the uplink can theoretically be achieved with a Snapdragon X20 modem. However, as described in the previous section, the OnePlus 6 is slightly slower because not all features of the X20 have been implemented, for example, OnePlus has eliminated 5CA and only uses 4CA. At the test site, LTE was available on Band 8 (900 MHz), Band 3 (1800 MHz) and Band 7 (2600 MHz) in the Vodafone network. On band 3, 4 × 4 MIMO antenna technology was used, and two carriers were used (10 MHz and 20 MHz). The modulation was at 256QAM in the downlink and 64QAM in the uplink. Band 8 was not usable for channel bundling, so Carrier Aggregation could only be used with B7 + B3 + B3. Theoretically, the combination of the individual technologies would have made it possible to achieve well over 300 MBit/s in the downlink – in practice, however, other simultaneous users in the cell will limit the speed in practice. Just below 300 MBit/s in the downlink and about 60 MBit/s in the uplink could be achieved with the OnePlus 6 at different times and on different days. These are very good values, but a look in the Netmonitor revealed that the device had always bundled only two bands, ie B3 + B3 or B3 + B7. 3CA with B7 + B3 + B3 apparently cannot be used in the device with the LTE network. That’s a pity because it’s probably just a software configuration – the hardware should be fine. The OnePlus 6 showed in the test a very good system performance and was able to score with a very good display and very good software. In many places, it became clear that the OnePlus product designers put a lot of emphasis on details, from the packaging to the stylish accessories to the sliding switch for the volume profile. Unfortunately, the OnePlus 6 did not live up to expectations in tests in the LTE network, so the smartphone, unfortunately, did not support the CA combination B7 + B3 + B3 available at Vodafone, which is at slightly lower maximum speeds than, for example, the Apple iPhone Xs with Intel chipset resulted. The quality of reception was better than that of the iPhone and thanks to the 4 × 4 MIMO antenna technology; the OnePlus 6 is definitely well prepared for the future. 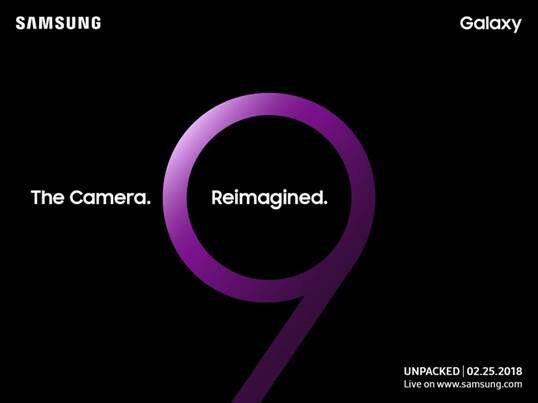 Samsung will introduce the Galaxy S9 on February 25, 2018 ahead of the MWC in Barcelona. The successor to the Samsung Galaxy S8 will probably have a much improved camera installed, it suggests “The Camera. Reimaged!” on the invitation at least the saying. For the first time since the Galaxy S6, Samsung is using the Mobile World Congress to introduce a flagship S-Series smartphone. Galaxy S7 and Galaxy S8 were then presented a few weeks after the important mobile phone trade fair. 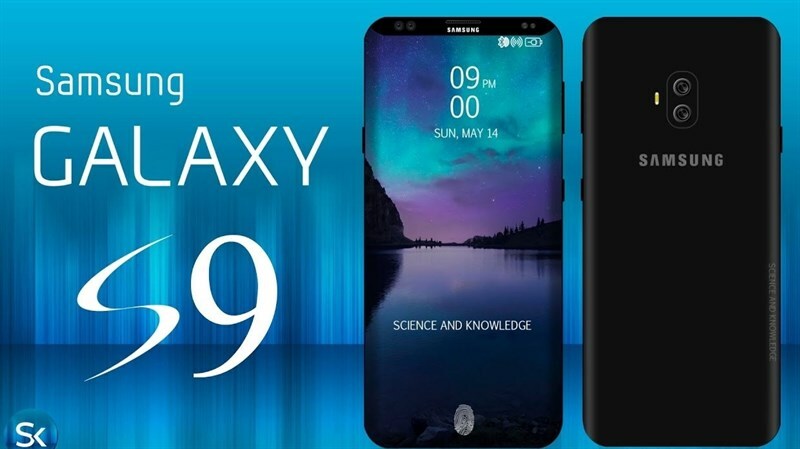 Publicly, there are still no indications of the appearance and technical features of the Samsung Galaxy S9, but the rumors generally assume that this year there will again be two different sizes of the flagship model: the Galaxy S9 and the Galaxy S9 Plus. Both models are to get a better camera with faster autofocus, the plus model comes probably in addition with a second lens (dual-camera system). The case design is unlikely to change in comparison to the Galaxy S8, but Samsung has probably reconsidered the much-criticized positioning of the fingerprint scanner. In addition to an improved camera you may of course expect an updated chipset, ie there will be a new Exynos processor including a new LTE modem. 5G will not dominate the Samsung Galaxy S9, but the technology is not yet mature enough. According to an alleged packaging for the Galaxy S9, which has recently surfaced , the device will be equipped with 64 GB of internal memory. The Mobile World Congress is the world’s largest mobile phone trade show and takes place in Barcelona at the end of February each year. This year the fair starts on the 26th of February and ends on the 1st of March. In addition to Samsung, many other mobile phone manufacturers will hold press conferences and introduce new devices. Usually, in addition to new smartphones, but above all, details on new network technology, the subject of 5G will certainly be back on the agenda and even with the current generation of mobile radio LTE, the final stage is far from reached. 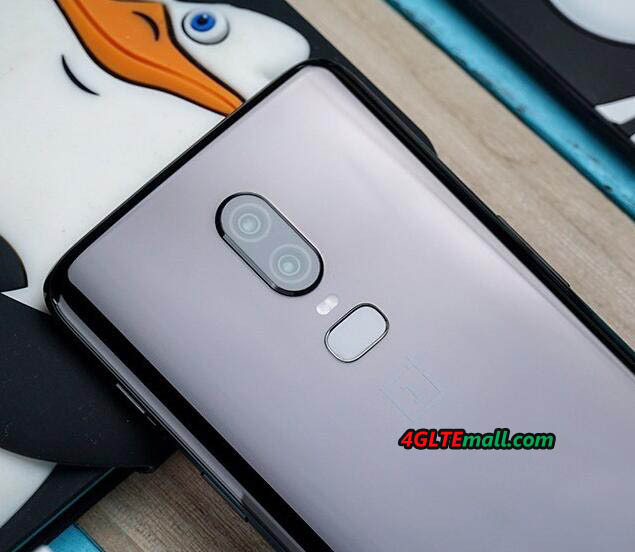 We will keep focus on the news about the Samsung Galaxy S9 and Galaxy S9 Plus and update the information on www.4gltemall.com/blog. Huawei will be launching a new mid-range smartphone with the P smart starting in February. The device has a 5.65-inch TFT LC display in 18: 9 format and has a metal body. There is a dual camera on the back and an 8 megapixel selfie camera on the front. According to Huawei, the new P smart is intended to address particularly young and financially conscious customers. So the price of P Smart would be very aggressive. A display in modern 18: 9 format can be found in the price range so far rather rare. It offers more usable screen area and less edge compared to a classic 16: 9 display – that makes the Huawei P smart interesting in any case. The resolution of 2160 x 1080 pixels promises a very sharp presentation. The operating system of the Huawei P smart is the currently most current Android version: Android 8 (Oreo) with the Huawei EMUI 8 user interface. The built-chipset comes from the Huawei subsidiary HiSilicon, it is a Kirin 659, the 3 gigabytes of memory are available. The internal user memory is 32 GB in size and can be expanded if necessary by MicroSD memory card. The battery is not changeable due to the unibody metal body and has a capacity of 3,000 mAh. The device is charged via a modern USB Type C connection. 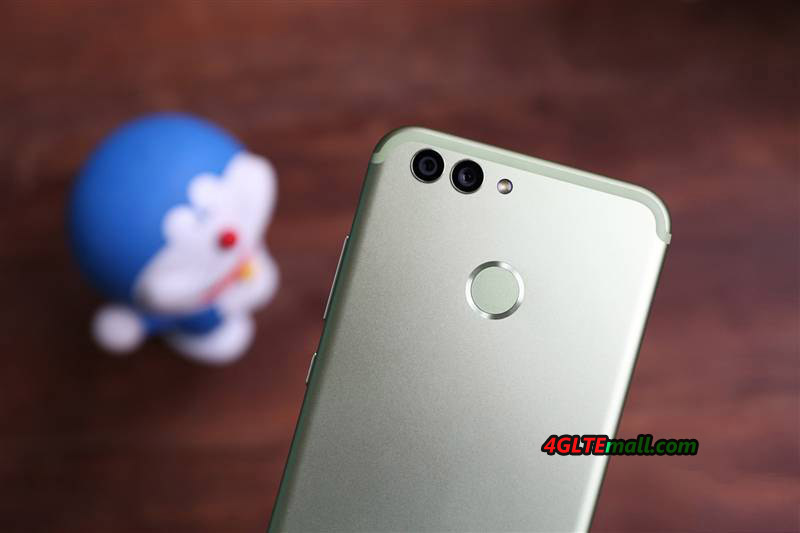 Like many current smartphones, the Huawei P smart uses a dual camera system on the back. The main camera has a resolution of 13 megapixels, the secondary camera delivers 2 megapixels and is mainly used to obtain information that allows a depth of field calculation. This should make the photos look more professional. 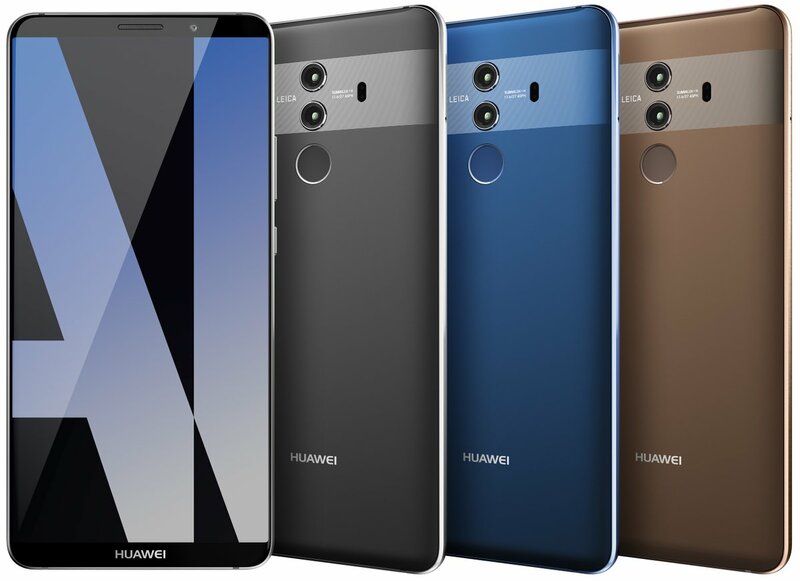 The Huawei P smart will be sold in Europe from February 2018 in the colors black, blue and gold. Here now, it only accept pre-order online from Huawei Germany, but we suppose it would be soon available in the market. And then we would take test on this middle class phone to check its performance. 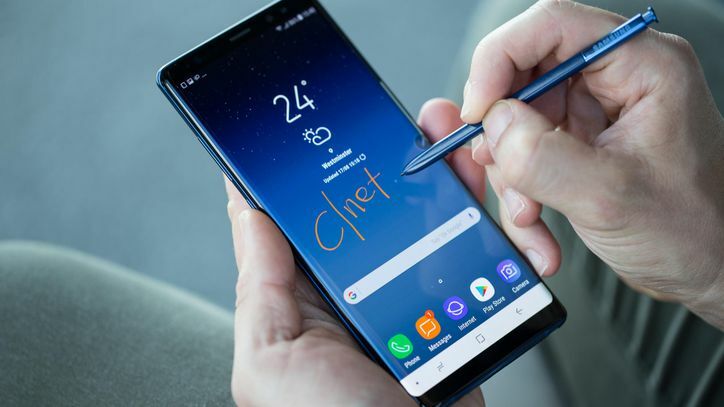 Smartphones with large display and minimal edges are in vogue, Samsung has shown its Galaxy S8 with “Infinity Display” in the spring, Apple has recently launched its iPhone X and Huawei has the Mate 10 Pro now with large display and little rand on offer. But the Mate 10 Pro not only looks good, it also offers advanced technology with a chipset that will perform certain tasks much faster than previously known due to AI technology, which is the first time available in a smartphone. There are also dual SIM with LTE on both SIM cards in a single smartphone and an arrow-fast LTE Advanced Pro Cat18 modem for speeds of more than 1 Gbit/s in the LTE network. 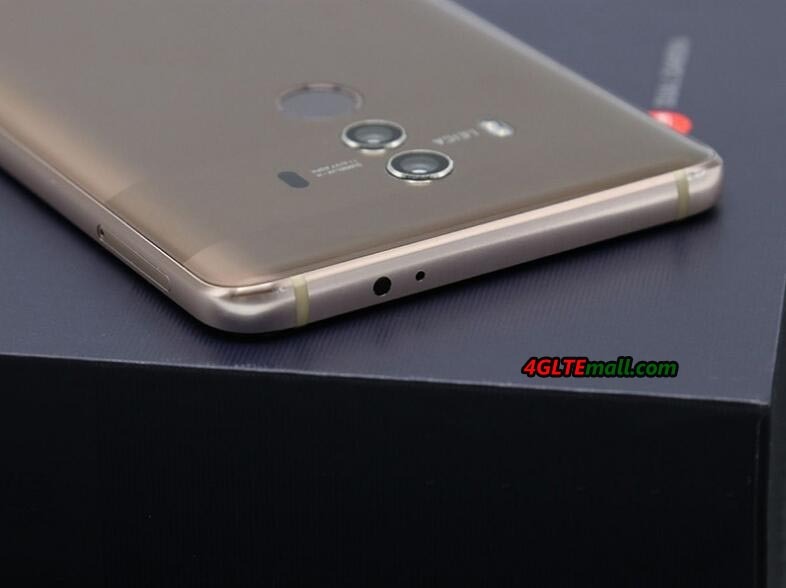 In the following test, we will check the features of the Huawei mate 10 Pro with advanced technology and chipset. The Huawei Mate 10 Pro is made with an approximately 6-inch AMOLED display in 18: 9 format. The display has a resolution of 2160 x 1080 pixels, in the test, the presentation was very sharp and in terms of color and brightness, there was no reason to complain. OLED typical, the black value is extremely good, but the display is not particularly color stable at an oblique angle. The Huawei Mate 10 Pro has opted for a glass body. It is certainly a matter of taste, but personally I find a metal case still much more pleasant, even if the glass case without question has a higher quality and visually more powerful than the metal case of its predecessor Huawei Mate 9. 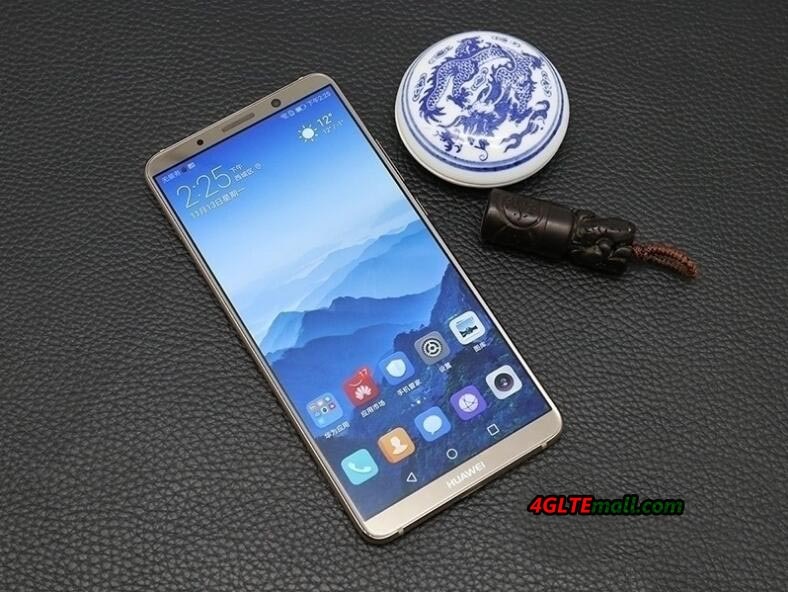 Due to the nearly borderless display in 18: 9 format, the Huawei Mate 10 Pro is good in the hand, but a one-handed operation is still only with very large hands or with the help of the one-hand zoom mode. 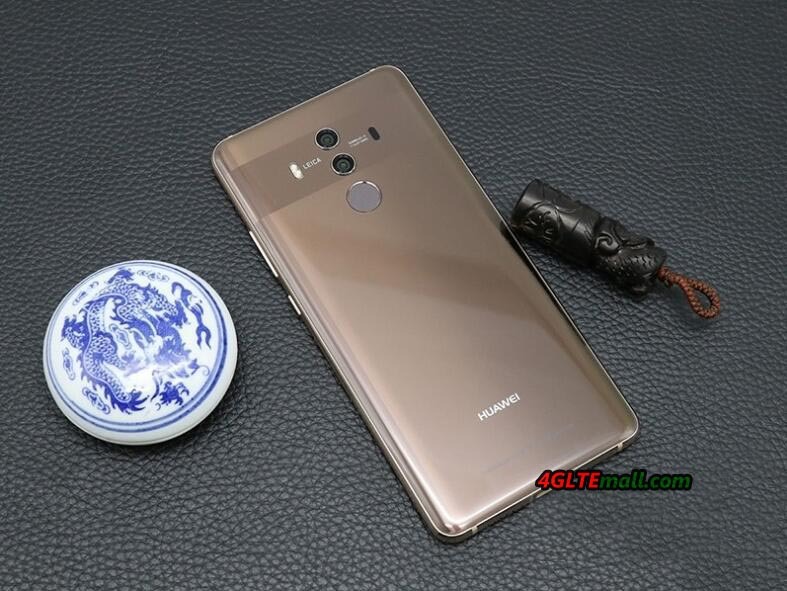 For the target group of the Huawei Mate 10 Pro, the one-hand operation is unlikely to be relevant anyway. At the heart of the Huawei Mate 10 Pro is the new HiSilicon Kirin 970 chipset. The octa-core processor is not only faster and uses less energy than its predecessor; it can also be used for the first time on AI support. The so-called “Neural Processing Unit”, NPU for short, is intended to massively accelerate certain applications such as image recognition. Unfortunately this could not be tested in the test, because applications that use the NPU are still in short supply. With the camera app to use the NPU, the difference to other current smartphones is not quite noticeable. Probably the future has to show, whether the Mate 10 Pro will have a big lead by the NPU or not. The modem supports LTE Cat18 and can also bundle up to 5 frequency bands via carrier aggregation in addition to 4 × 4 MIMO antenna technology. In the downlink the 256QAM modulation is supported in the LTE network, up to 64QAM are possible in the uplink. Even if only 2 × 2 MIMO antenna technology is available and no frequency bands can be bundled, data rates of up to 200 MBit/s in the downlink and up to 75 MBit/s in the uplink can be achieved. Regarding the dual-SIM feature, the Huawei Mate 10 offers a world first: for the first time, a device supports LTE on both SIM cards slots simultaneously. For example, you can use the Mate 10 Pro as a mobile LTE/WLAN hotspot and at the same time make calls to the device via VoLTE. 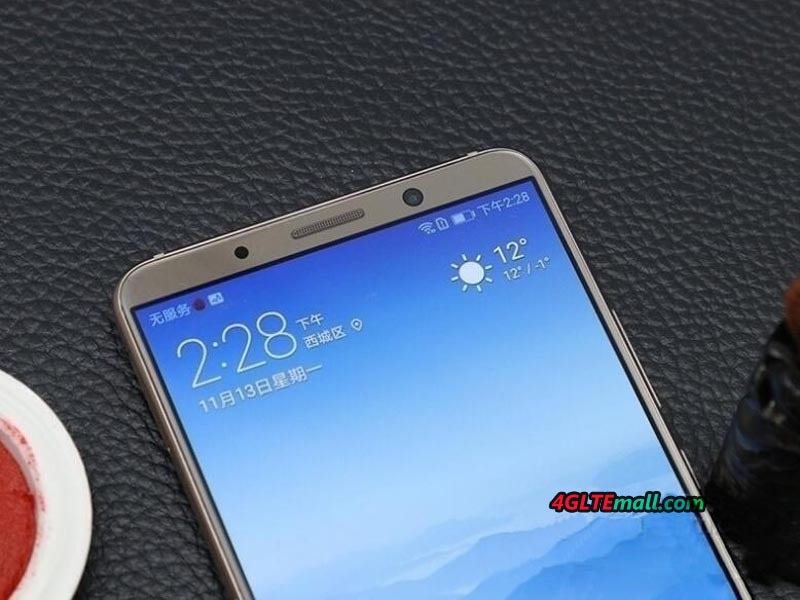 In the test, the Huawei Mate 10 Pro’s modem made a good impression: data connections were very fast and the reception was very good both in the UMTS network and in the LTE network. Also Wi-Fi speed and quality reception were good, especially the Wi-Fi amplifier or Wi-Fi bridge function liked. This allows you to use an existing Wi-Fi network as an Internet connection and pass it on to other devices via a Wi-Fi hotspot under a “new name”. 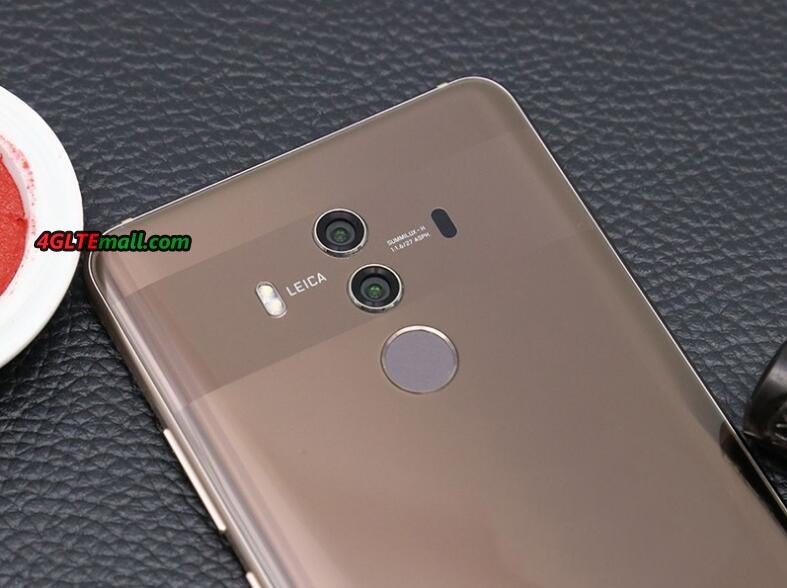 Not all details of the Huawei Mate 10 Pro are considered in this review, but the Leica dual camera on the Mate 10 Pro definitely deserves a separate section. The camera makes very good quality images and can of course make good shots at night, as you would expect from a current high-end smartphone. The image quality is ensured by a 20 megapixel black and white camera and a 12 megapixel color camera on the back, both with f1.6 aperture. According to Huawei, the NPU (ie the AI ​​unit of the processor) is also used for the camera; in automatic mode, subjects should be detected more quickly. In practice, however, this is hardly noticeable, as a result, other current top smartphones like the Apple iPhone 8 make at least equally good pictures, even without explicit motif recognition. But according to Huawei, the NPU “learns” over time. This review does not cover all facts of the Mate 10 Pro, but after the extensive test, the following conclusion remains: With the Mate 10 Pro, Huawei has a very good smartphone in the range. It offers a chic design, a very good camera and very advanced wireless technology. The use of the heavily advertised NPU or the AI ​​functions remains somewhat unclear after the test. Even the missing 3.5mm jack and the missing memory card slot are definitely negative points. Overall, the overall package in comparison with the Apple iPhone X and the Samsung Galaxy Note 8, the Mate 10 Pro price is even moderate. Thus, the Huawei Mate 10 Pro is a strong competitor for the flagship smartphones from Apple and Samsung. 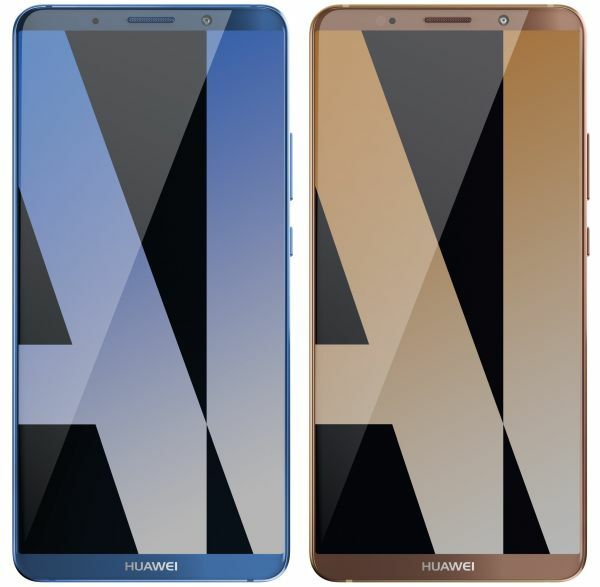 Huawei launched the Huawei Nova Smartphone in 2016, and to meet the customers’ demand, the new successor – Huawei Nova 2 – is now available in 2017. Huawei Nova 2 comes with a dual camera on the back and a 20 megapixel selfie camera, and the design has been slightly changed. The compact design and the 5-inch display have remained. 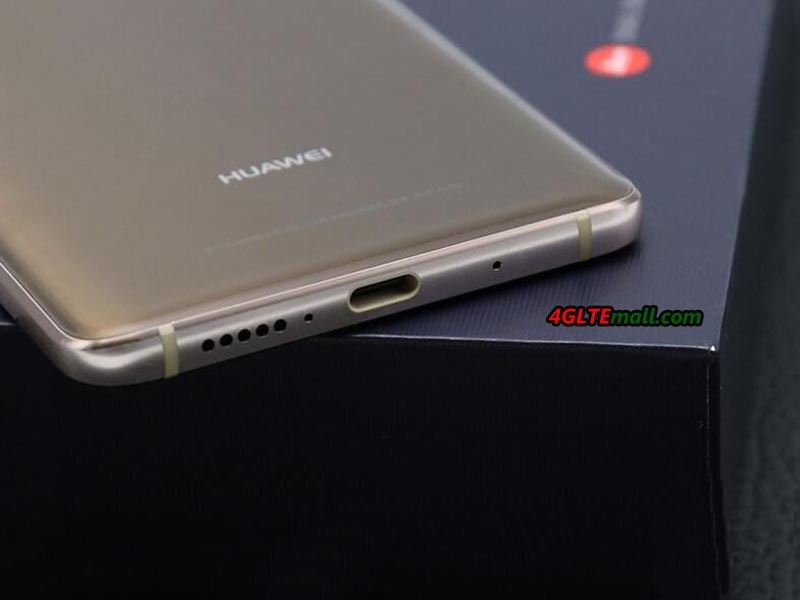 The body of the Huawei Nova 2 is 142.2 millimeters long, 68.9 millimeters wide and 6.9 millimeters thick. It is almost entirely made of metal, weighs about 143 grams and is available in black, gold and blue. The black version made a very high-quality impression in the test, the case is very good in the hand due to the rounded edges. The workmanship is impeccable; the Nova 2 has a very high quality. Positive: the enclosed case made of transparent plastic (rubber). The two camera lenses on the back are slightly out of the case, but that does not bother. On the bottom there is a USB Type C connector and a 3.5mm jack, also you will find below the speaker and a microphone. 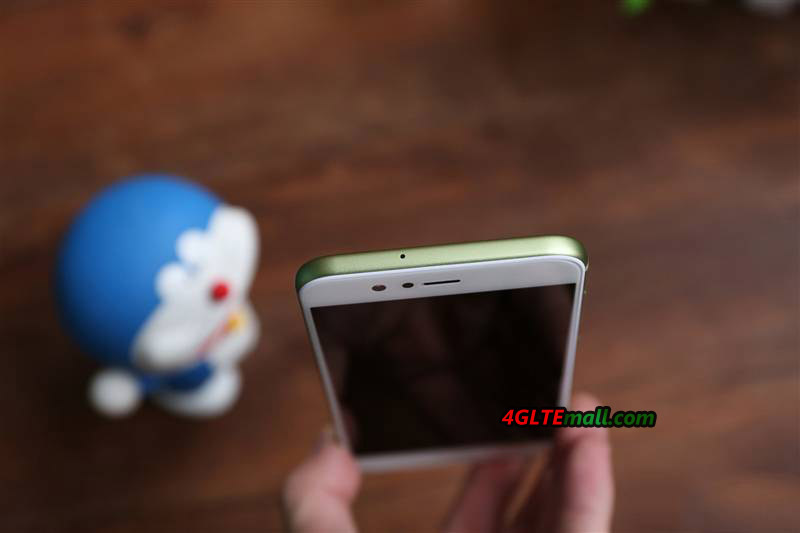 The SIM card is inserted in the Nova 2 on the side, a small tool for removing the SIM card slide is included. Incidentally, the Nova 2 is dual-SIM capable, so you can use two Nano-SIM cards as needed. You can also use one of the slots to insert a MicroSD memory card. The screen of the Huawei Nova 2 is 5 inches tall and has a Full HD resolution (1920 x 1080 pixels, 443 PPI). Colors are reproduced vigorously and the display is very bright if desired, so that even in sunlight everything is still easy to read. 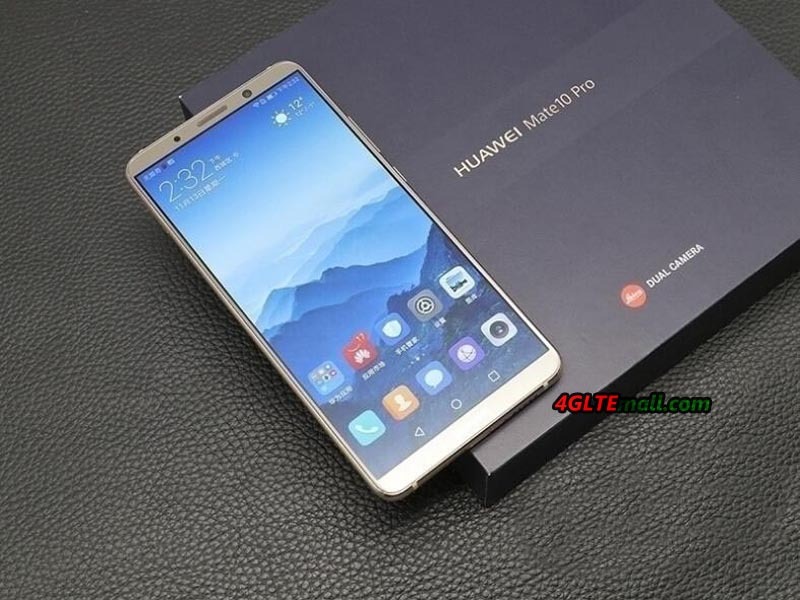 For the software, Huawei has decided for Android in version 7 with the EMUI 5.1 user interface, which adds some important features in addition to a special design. The main memory is 4 GB, and the internal user memory is 64 GB. The processor used is a Octa-Core HiSilicon Kirin 659 with 4x 2.36 GHz and 4x 1.7 GHz. The battery of the Huawei Nova 2 is about 2,950 mAh strong and has held out a full day of normal use in the test. For users who only use WhatsApp occasionally and do not use the device that much, there are certainly two days left before the device needs to be charged again. For the camera, Huawei has significantly upgraded compared to the first Nova. On the back there is now a dual camera with two sensors: one for wide-angle photos and one for telephoto photos. Means: with one camera you have a very wide image and can capture many elements at the same time, with the other camera, it has a zoom and a much smaller image detail. The resolution is 12 or 8 megapixels in 4: 3 format. The picture quality was very neat in the test. Huawei has many different image modes installed, especially with the portrait mode can take beautiful pictures. What unfortunately noticed negatively: the built-in camera LED on the back is quite dark compared to many other current smartphones. 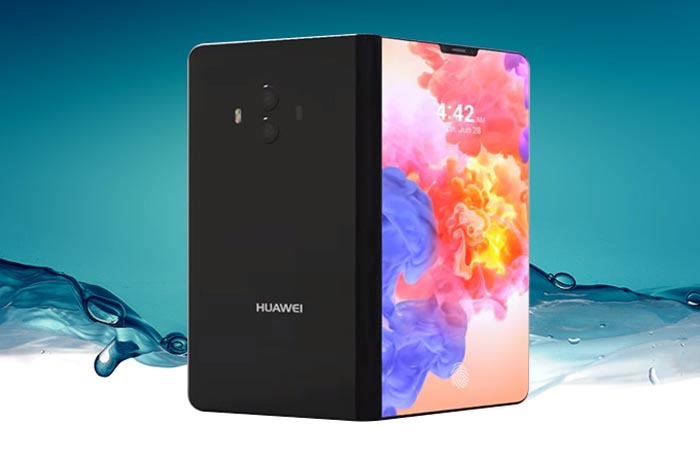 The front camera is especially heavily advertised on the Nova 2 (“Selfie Star”), because Huawei has installed a 20 megapixel sensor here – something that is not normally the case with other smartphones. 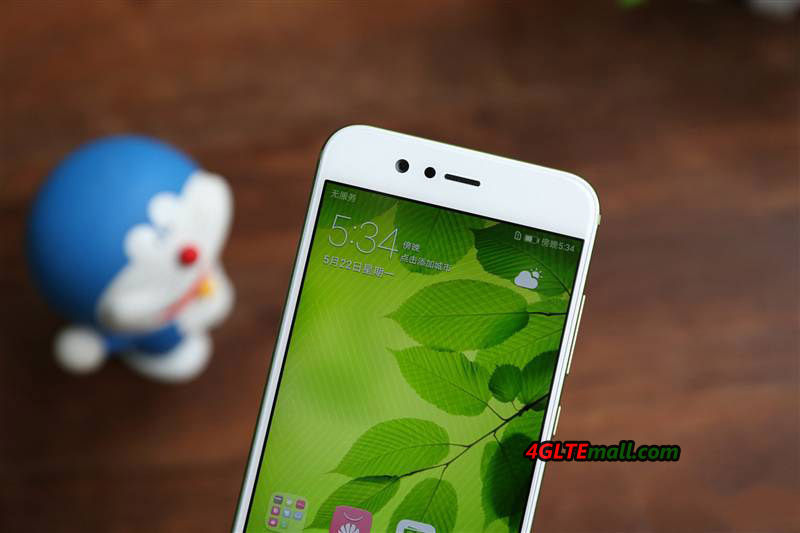 The picture quality is good, especially compared to other, similarly expensive midrange smartphones. 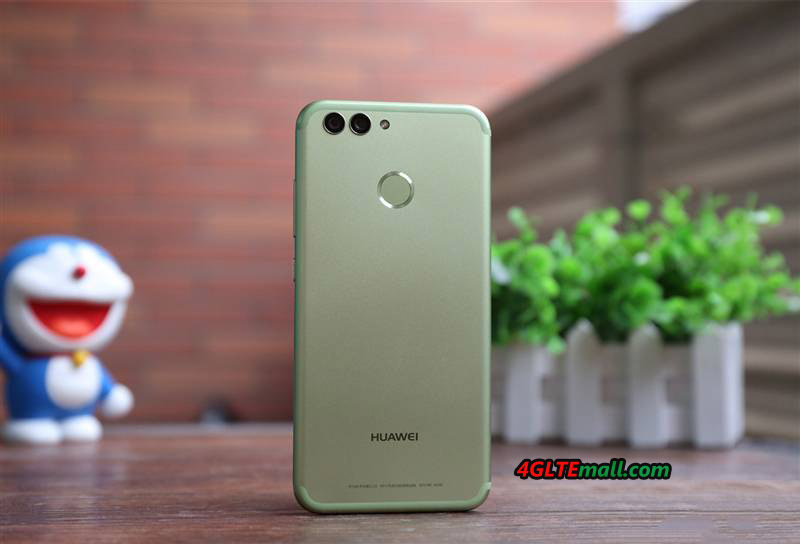 The Huawei Nova 2 can reach speeds of up to 300 Mbps in the downlink via the LTE mobile network, which corresponds to Category 6 LTE Advanced (LTE Cat6) and is currently standard on mid-range smartphones. Reception and voice quality were neat in the test, there was no reason to complain. However, the Nova 2 supports WLAN only in the frequency range around 2.4 GHz, the 5 GHz WLAN and the fast WLAN ac are not supported. 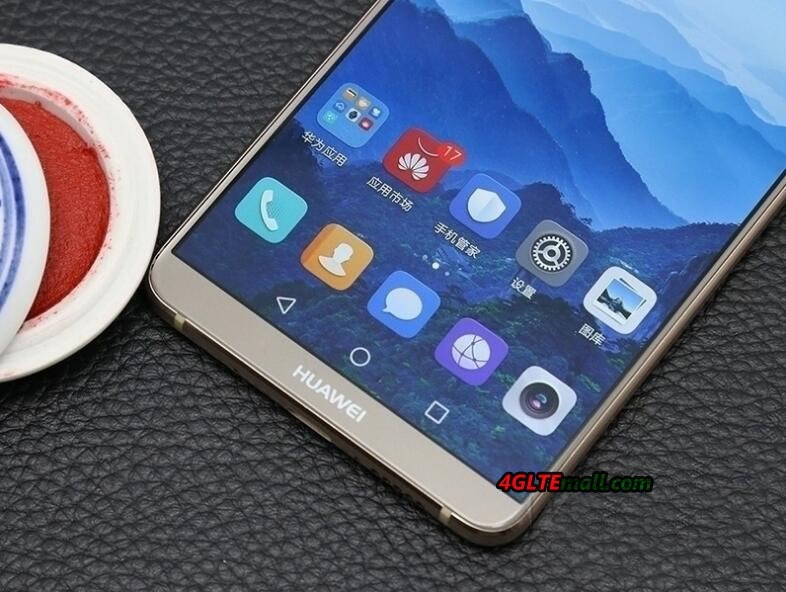 Huawei Nova 2 is a worthy successor to the Huawei Nova from the year 2016. The case has been significantly improved, which fits perfectly in the hand and thus leaves the Nova 2 ever a positive impression with the potential buyer in any case. The camera has an interesting concept with the two different focal lengths and especially the very high-resolution selfie camera should convince many. Otherwise you get the usual standard equipment for a mid-range smartphone, with a slight weakness in the WLAN. Overall, Huawei Nova 2 is highly recommended, but there is tough competition in the price range: the Samsung Galaxy A 2017 series with the Galaxy A3 2017 and the Galaxy A5 2017, the Honor 8, the Honor 9 and the Xiaomi Mi 6 are just some of the competitors. 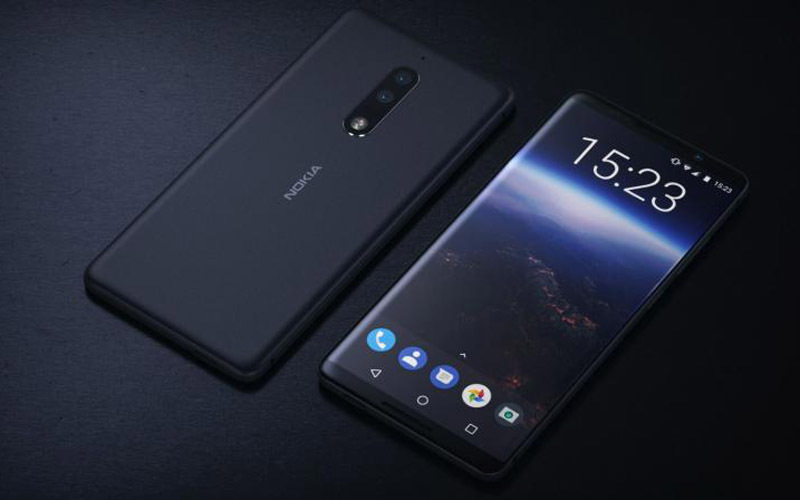 HMD Global, the company behind the smartphone brand Nokia, has finally presented the first and long-awaited high-end model: the Nokia 8. 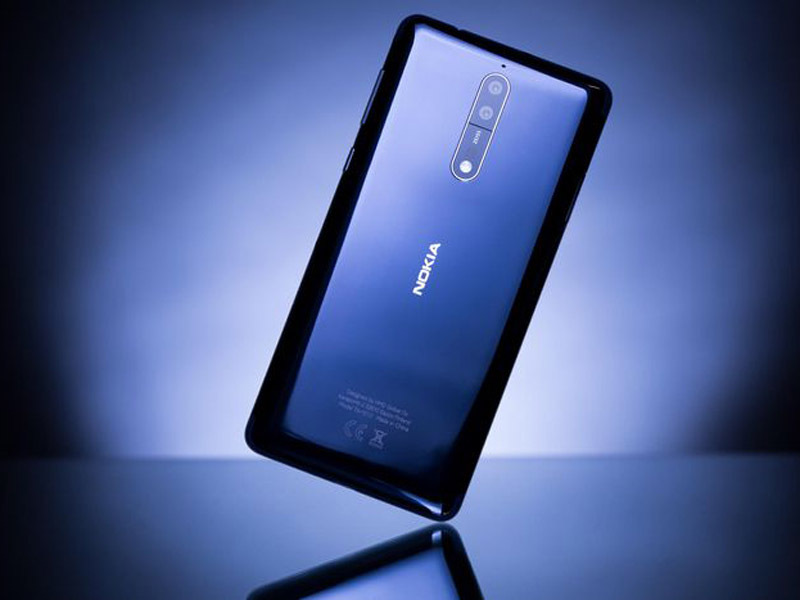 Like Nokia Top models from the past years, the Nokia 8 comes with camera technology from Carl Zeiss, So that high expectations can be placed on image quality. 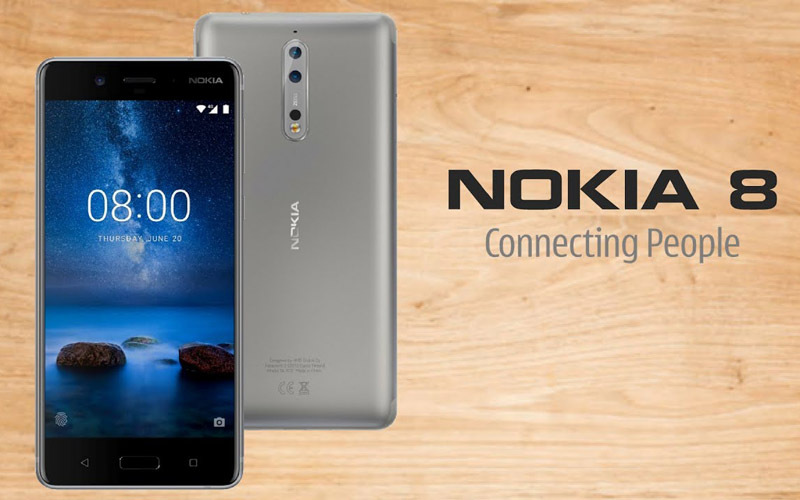 The Nokia 8 has integrated the current Qualcomm chipset (type Snapdragon 835) and achieves speeds of up to 450 Mbps over the LTE network thanks to LTE Cat9 with 3CA. 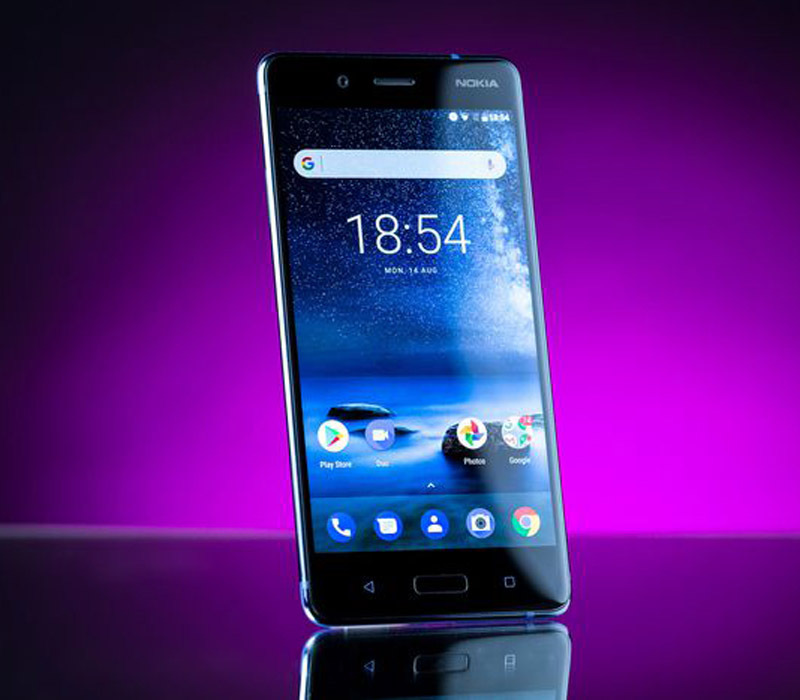 The Nokia 8 comes in a “monoblock design” with capacitive buttons according to the HMD Global and has been designed in such a way that the device not only looks good and is well in the hand, but also dissipates heat optimally. The display is 5.3 inches in size and has a very high resolution of 2560 x 1440 pixels (WQHD). With 700nts, it should also be very bright. The integrated battery is 3090mAh strong and not changeable by the user. It has the Qualcomm QuickCharge 3.0 quick-release feature. The integrated memory is 64 GB in size and can be extended by up to 256 GB via MicroSD memory card. The memory is 4 GB. With the wireless interfaces, the Nokia 8 is very up-to-date, including support of Bluetooth 5.0 and WLAN 802.11ac. The USB Type C interface is especially fast thanks to USB 3.0 and 5Gbps support. 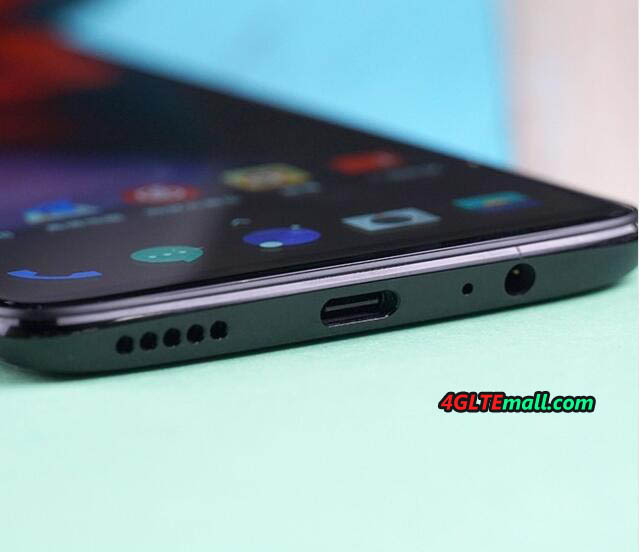 Unlike some other high-end smartphones, a 3.5mm headphone jack is also on board. The Nokia 8 is equipped with a dual camera system with Zeiss optics on the back. Both sensors have a resolution of 13 megapixels, the primary sensor takes up color and is equipped with an optical image stabilization, the secondary sensor takes pictures monochrome. The aperture is f2.0. There is an infrared distance meter as well as a dual-tone LED flash. The camera on the front comes with almost the same data (13 megapixels, f2.0), but has no optical image stabilization. The Nokia 8 has a special feature integrated; here the image of the front and the rear camera is simultaneously recorded. The feature can even be used for streaming networks such as Facebook and YouTube. HMD Global is working as an operating system to use a current and almost unchanged version of Android. Pre-installed Android 7.1.1, the manufacturer promises monthly security updates. Through the pure Android, the device is supposed to offer a better user experience than comparable high-end models from other manufacturers. This could be an important purchase point for some users, as many other manufacturers such as Samsung and Huawei often criticize the overloaded and advertising apps blocked user interface. Disadvantage of “Pure Android” might be that certain functions are not present through the pre-installed user interface. But it is always an option for Android. The Nokia 8 is to be offered from September 2017 in the colors Polished Blue, Polished Copper, Tempered Blue. In addition to a single SIM version, a dual SIM version of the Nokia 8 is also available, but it can be assumed that HMD Global will market the dual SIM version only via the free trade and not through providers and network operators. Samsung has introduced the Galaxy Note 8 in New York few days ago. The smartphone is equipped with a modern LTE Cat16 modem and allows speeds of up to 1 Gbit/s in appropriately equipped mobile networks. In addition to the standard version, a dual SIM version is also officially available in some areas, which is in the note series for the first time. The other technology includes a 6.3 inch display, a dual camera and 64GB internal memory. The Galaxy Note 8 looks similar to the Galaxy S8 Plus, it is only slightly more angular than the sister model. The display is 6.3 inches in size, has an aspect ratio of 18.5: 9 and is rounded off to the sides, which is already known from the Galaxy S8. The resolution is 2960 x 1440 pixels (QHD+). Since the edges on the sides as well as the top and bottom were kept as narrow as possible, Samsung applies the display as “Infinity Display”. An important difference to the Galaxy S series is, of course, the S-Pen input pen, which is simply part of the Samsung Galaxy Note series. The case of the Samsung Galaxy Note 8 is dust and water proof according to IP68. With 162.5 x 74.8 x 8.6 mm, the Galaxy Note 8 is quite large, but still makes a slim figure compared to other devices from the 6-inch category. The weight is 195 grams. A further novelty compared to its predecessor Galaxy Note 7 and the Galaxy S8 is the dual camera. The Note 8 has two camera sensors each with 12 megapixel resolution, one with wide-angle lens and one with a kind of tele-lens, so that like the Apple iPhone 7 Plus, a certain zoom can be achieved. The aperture of the wide-angle lens is f1.7, the telephoto lens has a diaphragm of f2.4. It is worth mentioning that both sensors have optical image stabilization (OIS). 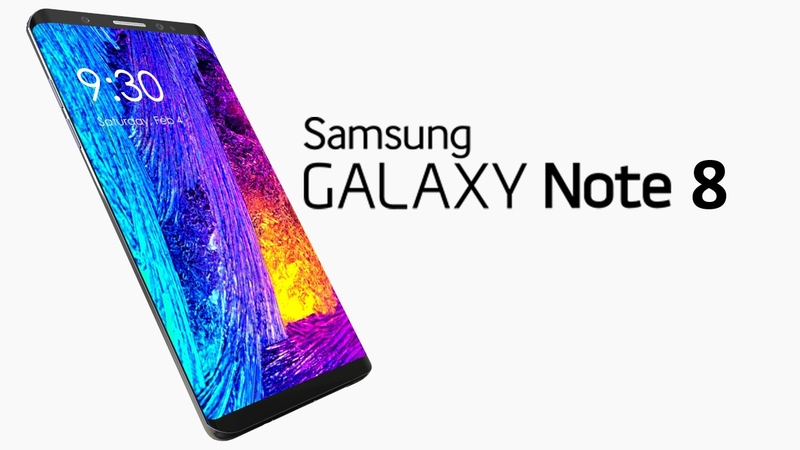 As a chipset, a Samsung Exynos 8895 is used in the European version of the Samsung Galaxy Note 8, the memory is 6 GB. About 51 GB of the internal 64 GB memory ex factory for the user are available, a memory extension via MicroSD memory card is naturally possible. In addition to Gigabit LTE of the category 16, of course, all other current radio technologies are on board, just as one expects it from an expensive high-end smartphone. 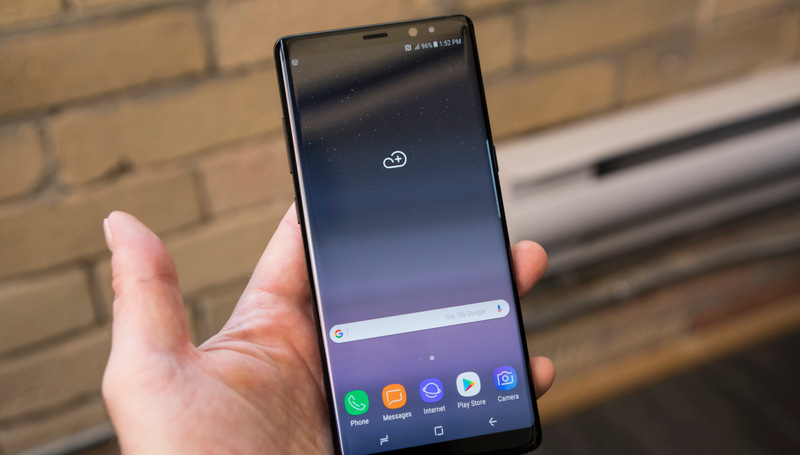 The Galaxy Note 8 supports WLAN 802.11ac with MU-MIMO antenna technology, it can support VoLTE (voice over LTE) and WLAN calls and it supports Bluetooth 5.0. Android 7.1.1 is used as the operating system. The battery of the Galaxy Note 8 is 3.300 mAh and can be charged both via USB Type C cable as well as wireless. A quick-charge mechanism is supported for both cordless charging and normal charging. 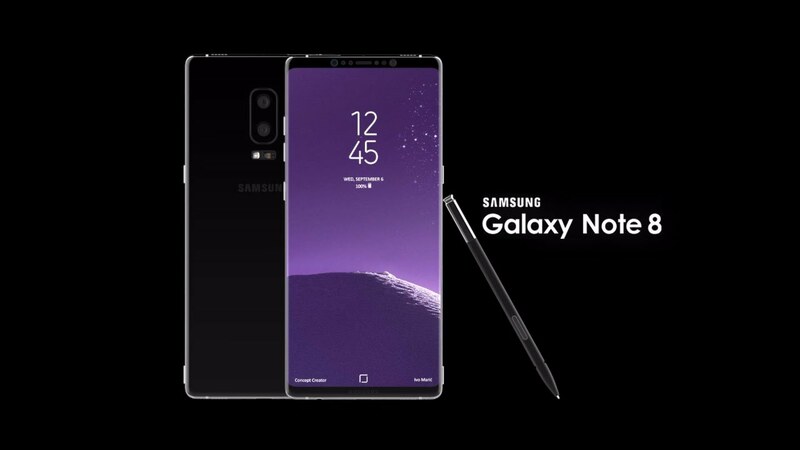 The Samsung Galaxy Note 8 comes in September. While only a single SIM variant will be available in the free trade for network operators, a dual SIM version can be pre-ordered in the Samsung Online Shop. Currently, the price of Samsung Galaxy Note 8 is at high side. If you can wait a few months, you will be able to benefit from a significant drop in prices.